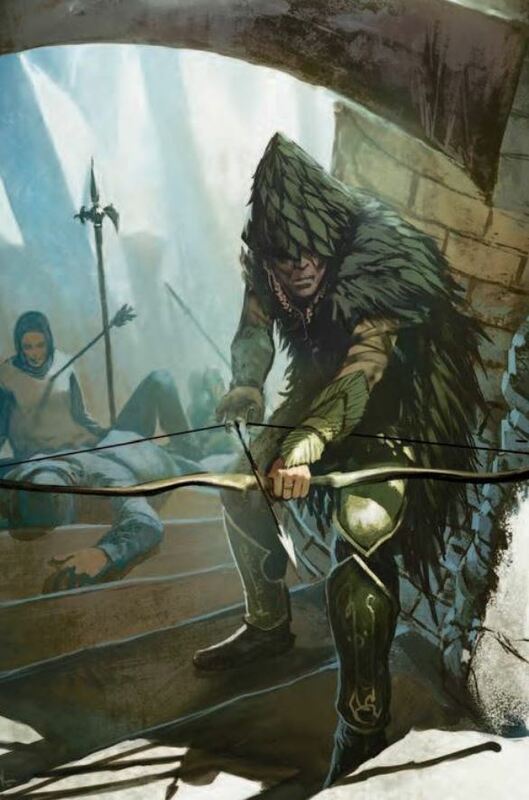 Why not a Way of the Zen Archer Monastery for fifth edition Dungeons & Dragons? With the release of Xanathar’s Guide to Everything for 5E D&D a lot of options have been opened up. The zen archer is a fun archetype for a fantasy game. That wasn’t possible previously. There was absolutely no mechanical reason play a monk who used ranged weapons. But XGtE changed things up by allowing for the creation of the ranged attack-based monks. We can now have a zen archer build. Why not take it a step further and create a monastery of zen archers. We recently did a character build video you can watch down below. 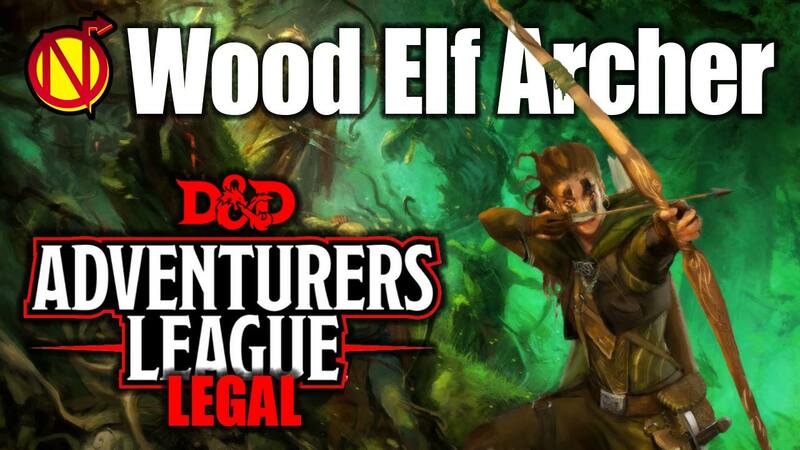 We made it Adventurers League legal. We also did a character build guide and put it up over on the DMs Guild. In a fantasy world who would be the creator of such an organization? Would it be a religion? Would it based on a specific race or region maybe? I kind of like the idea of an ancient elven monk as the head of a monastery on top of a mountain or in maybe in the center of a city, leading a whole organization full of Way of the Kensei monks, maybe with a wise council of other old kensei monks. It would be an island of tranquility among the hustle and bustle of city life. Perhaps the monastery was built by the elf and his first students several hundred years ago. A village and farmlands began to spring up outside the walls of the monastery. Peasants provided food and goods while the monks offered security and wisdom. Over time these lands continued to grow as the old men and women stayed behind their walls contemplating and meditating upon the arrows they crafted, fletched, and shot. Outside the monastery the village grew into a town, and finally a city. In times of need the monks are called upon by the city for their wisdom and martial prowess. Many of the nobility send their children to study at the feet of the masters. I introduce the Order of Feathered Enlightenment, located in the City of Wyntoth. The order was founded by an ancient wood elf named Tun’th Ela Feth. Most just call him Master Tun. The monastery was named by the peasants hundreds of years ago and just kind of stuck — the Temple of the Whistling Dawn. The monks begin each day with with their archery meditation. A fact only known by the elder monks and the ruler of the city, Wyntoth Baroness Kassandra Von Cestia, is the location was chosen for its connection to the Elemental Plane of Air. The monks tap into this knowing and unknowingly. The other thing this connection has done is create super-aerated soil that yields greater than normal crops. Master Tun’th Ela Feth discovered it while on his walkabout from his original monastic tradition, the Way of the Four Elements. He felt the pull of the cosmos through air and wind. He teaches others to mediate on the power of the nexus between planes even if they aren’t aware of what they are tapping into. A secret known by no one is the voice that has been whispering to Tun’th Ela Feth is the Prince of Air and Darkness. At least that is a seed of an idea for new city and monastery for our Chimes of Discordia campaign setting. Did you enjoy this post? Nerdarchy’s awesome volunteer staff of writers and editors do their best to create engaging, useful and fun content to share. If you like what you find here on our site, consider patronizing us in a good way through Patreon. On top of reaching our goal of paying our writers, pledging gets you exclusive monthly content for your D&D game, opportunities to game with Nerdarchy, access to patron-only channels on our Discord and more. With your generous support we’ll continue to create quality content between our YouTube channel and blog, invest in equipment to increase recording quality, and keep creating original publications and products to enhance your tabletop roleplaying and gaming experience. Thank you for your consideration and as always, until next time stay nerdy!